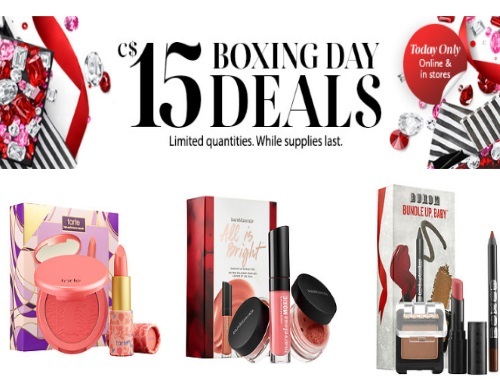 Sephora has $15 Boxing Day Deals today! These are available in-store and online, in limited quantities, while supplies last. At the time of my post I see 15 different $15 sets, but I am sure they will sell out quickly so be sure to get your order in soon!